The word is out! Property values in Detroit have recovered and suddenly everyone wants to invest in what is turning out to be one of the greatest comeback cities in American history. Every week, we receive calls from buyers as far away as California, New York, and even other countries, interested in investing in Detroit. Countrywide media coverage of real estate in Detroit, however, lags behind quite a bit and does not accurately reflect current market activity. The notion that you can buy a house for $1,000, flip it, and make $100,000 on the sale is an outdated fairytale that has caused a lot of confusion with a number of long distance investors in the past 3-5 years. Detroit is still a fantastic place to invest, but you need all of your ducks in a row and good information before you dive in. First, decide what kind of investor you want to be. Do you want to become a landlord, invest as a flipper, or do you want to buy and hold property? With all the attention and interest Detroit has recently earned, time is of the essence; it only takes one property in the neighborhood to sell at a premium to reset all others in that area. As a new investor, how do you determine which investment option is best for you? Before you decide anything, you must pin down your investment goals. Do you want a long-term or short-term investment? Do you have a specific amount you are planning on making or are you simply looking for steady financial growth? Know the neighborhood: There are a multitude of different neighborhoods in Detroit, and not all are suitable for rental properties. You’ll need to know the ins and outs of Detroit’s micro-communities in order to choose a property in a location that makes sense for this type of investment. Boots on the ground: You need to either be here yourself or hire a local property management company that can handle maintenance issues, deal with tenants, and all of the other inherent landlord responsibilities. Financial waiting game: When you become a landlord, you might not turn a profit for a number of years. Rental income is a slow and steady build, but if you have the funds to invest and you’re able to choose a transitional neighborhood, you’ll not only be profiting from rental income, but hopefully you can sell the house years down the line for more than originally purchased. Traditionally, the most important measure of a good investment is cash flow, but in this market, appreciation can be an overriding factor. Find neighborhoods with potential: It is impossible to know which neighborhoods in Detroit are appropriate for purchasing a home with the intention of flipping without a profound knowledge of the city and its residential nuances. Come to Detroit, meet our team, and research and learn everything you can about the city before you invest. Manage construction and rehab: Are you able to oversee the construction and rehab of the property? Do you know which companies are trustworthy and which are taking you for a ride? We’ve heard nightmares, firsthand, about investors from afar losing their entire savings to construction companies that promise the world and then disappear altogether. Be present throughout the process and know where your money is going. Know your finances: You’re about to purchase a home that needs work. You need to know if the neighborhood is worth the money you’re about to invest and you need to know how much it will take to get the home into tip-top shape. Do you have what it takes? Absolute highest potential: Choose a property with the highest potential of appreciation of value. It’s all about location. 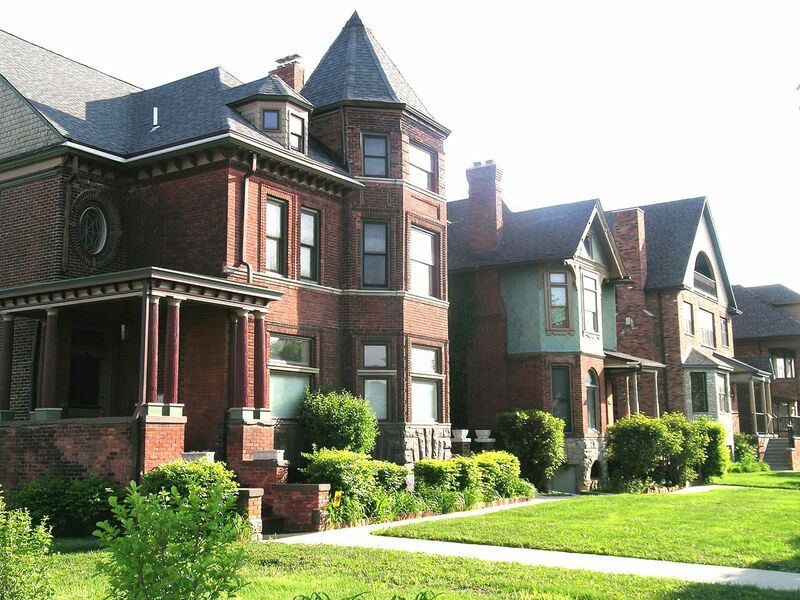 All of our agents have a working knowledge of Detroit’s neighborhoods and we have a resident expert on the subject. We can guide you through the process of choosing the best location for this investment strategy. Keep it up: You’ll need to hire someone locally for upkeep and maintenance. If the property is deemed in “unacceptable condition” at any time, it could be seized by the city and your investment will have been wasted. Same goes for vacant land – you still need to keep it looking good! Decide what kind of investor you want to be: Landlord, flipper, or buy and hold. Get on a plane and come with us to view potential properties in Detroit. If you are not able to view the property in person, please do not buy it. With several agents who are well versed in the city, we’ll help guide you through the process of finding and financing your dream Detroit investment property.